Oh, what a marvelous view of the White River Valley from this log home! 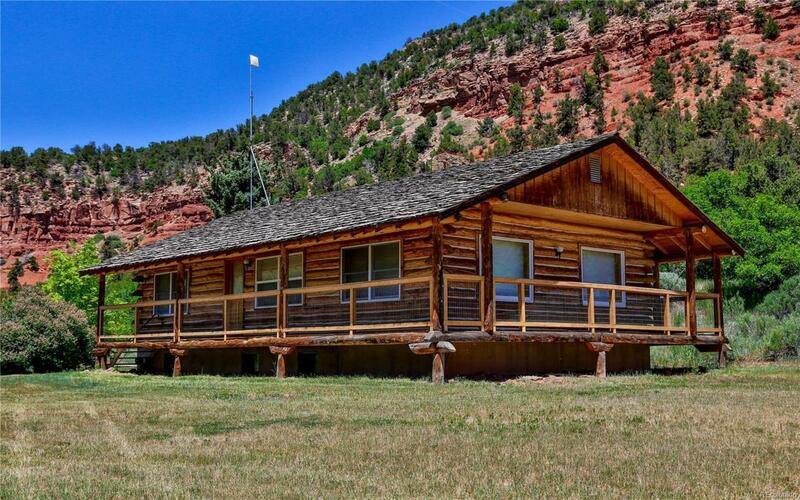 Located less than 10 miles from Meeker, this 2.85 acre property includes a lovely 4 bedroom home, along with a garage/workshop and multi-use outbuilding. This property has year round access and on the school bus route. Inside the home, you will enjoy the upgraded kitchen and multiple relaxing spaces. There are two bedrooms on the main level, with two additional sleeping spaces downstairs. The full basement provides a vast amount of extra space, as well as laundry and utilities. The detached garage can accommodate one car or a great storage/workshop area. It also has a studio upstairs that would make a nice mother-in-law suite, office or craft room. Finally, a well constructed outbuilding with fenced run is centrally located in the yard that can be used as a chicken coop, garden or storage. A charming property, come see!